Sierra Nevada Brewing Co. flexed its muscles last Tuesday by holding two simultaneous beer dinners, at the Clyde’s of Gallery Place and Ripple in Cleveland Park, with mostly different lineups of beer. The Ripple event featured Sierra Nevada Vienna Lager, a light, clean, malty little cousin of the Oktoberfest beers that are storming the market right now. Patrick Myers, Maryland sales representative for Sierra Nevada, bragged that it was the only keg of this draft-only beer in the Mid-Atlantic. Despite persistent pumping, Myers wouldn’t divulge any information on the site of the East Coast branch brewery that Sierra Nevada is planning. Virginia and Tennessee are vying for the plant, which would cost $70-$100 million and could employ up to 100 people. A decision between two locations — one near Roanoke, the other close to Maryville in eastern Tennessee — had been expected in early August. Now there are some dark horses in the race. Bill Manley, Sierra Nevada’s communications director, says the company has opened up the search to “two or three” additional sites, which he declined to identify while due diligence was going on. 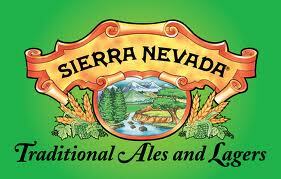 Sierra Nevada will decide “probably by mid-fall, definitely by the end of the year,” he said.